RealVNC remote access software so simple to use, easy to deploy and a lot less cumbersome than other solutions we tried. It’s bulletproof! 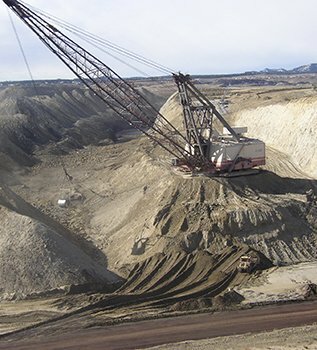 Western Energy produces approximately 13 million tons of coal annually, that is used by several regional Utilities to generate electric power. Contributing to this output are the company’s Rosebud and Absaloka mines, both located in Montana, USA. The IT team at Western Energy wanted to be able to quickly assist office staff dispersed across the two large mining sites, with IT issues. By deploying RealVNC remote access software with an Enterprise license, issues are now fixed remotely, allowing Western Energy to make the best use of its IT resources, solve IT problems more efficiently and keep coal production at capacity. The IT team at Western Energy provide IT support to 300 staff, spread over 25 miles, at its Rosebud mine and a further 200 staff, 40 miles away, at its Absaloka mine. With a small team of three, a solution was required to allow IT problems to be resolved quickly and easily, without the need for time consuming desk-side visits. It was essential that the solution helped keep system downtime to a minimum to ensure production was not affected. With RealVNC remote access software deployed across both sites IT problems can now be resolved remotely, be it an error in the internal business system used in the accounting, inventory and human resources departments, or an issue with email servers. The ability to instantly and securely access staff PCs remotely from their desk has resulted in significant time and cost savings for the IT team. Time previously spent travelling around, and between, the mine sites is now used more productively elsewhere. The IT team is also responsible for the systems controlling security including electronic gates at the mine sites. Any problems that needed troubleshooting would previously have required the on call IT technician to travel to the site in order to resolve the issue. 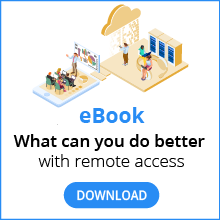 RealVNC software enables IT technicians to connect in and resolve IT support requests raised by the security team from home, eliminating the need for inconvenient travel out of office hours. After evaluating other remote access solutions RealVNC remote access software was chosen for its speed and simplicity. In addition, the IT team found the software very easy to deploy using the VNC Deployment Tool. IT staff at Western Energy are delighted with the contribution the software is making to their work.